Citrix has been in the business for over 20 years; the founder and dominator of the multi-user market. The questions are always the same: "Do I need XenApp or XenDesktop - Isn't Microsoft Remote Desktop enough? 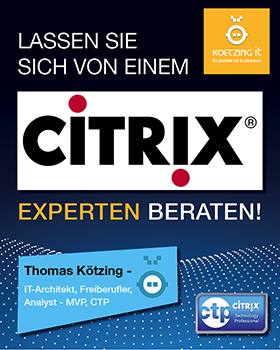 Do I have to spend a lot of extra money on Citrix?" I was a Microsoft MVP for Remote Desktop Service (RDS) for four years and I remember the last time I was in Redmond. I said some things Microsoft should change or add that have become true with the latest release of Windows server. I never have to "sell" anyone Citrix when RDS is just enough. It always depends, but I think things have changed such that it’s now time to re-think.